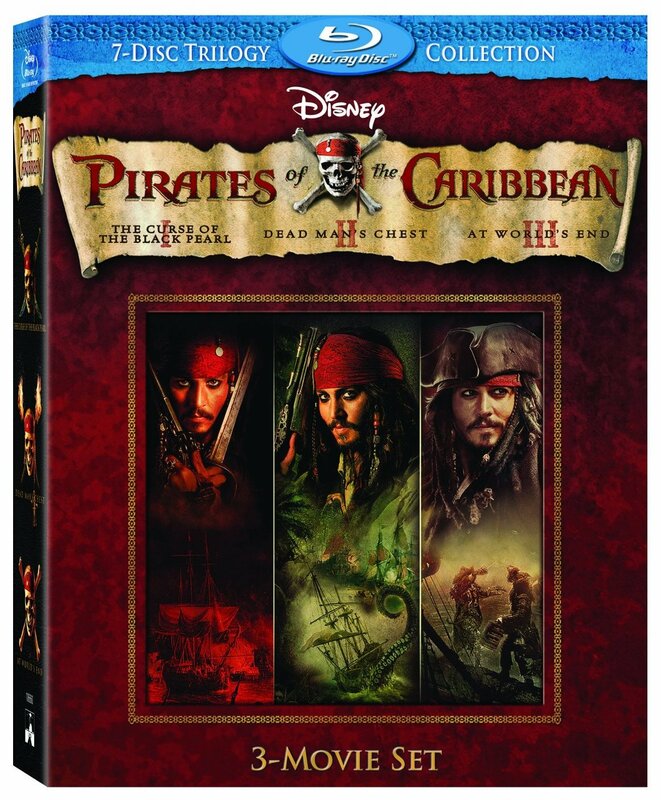 There’s more than a galleon’s worth of fun in Disney’s new ‘Pirates of the Caribbean’ Blu-ray Disc collection, and US website Monsters and Critics agree having given the fantasy saga a big thumbs up in a recent review. The swashbuckling adventure charts the heroics of Captain Jack Sparrow (Johnny Depp) an eccentric rogue of a pirate who dives head first into the lives of the Elizabeth Swann (Keira Knightley) and wannabe buccaneer Will Turner (Orlando Bloom). Overflowing with sword fighting, treasure hunting and mutinous pirates galore, the whirlwind tales are sure to satisfy the whole family from the haunting beginning to the rip roaring conclusion. They also highlight the fantastic range of bonus features split across the pack and point out that a clip of the fourth installment, due in cinemas this summer, is a nice little extra seventh disc. The ‘Curse of the Black Pearl’ includes features ‘An Epic At Sea’ and ‘Fly on the Set’ which uncover behind-the-scenes secrets and look at the technicalities of filming a blockbuster at sea. ‘Dead Man’s Chest’ offers a theatrical or interactive version of the film, features ‘Captain Jack from head to toe’ presented by Johnny Depp and ‘Mastering the Blade’ which examines the art of sword fighting. ‘At World’s End’ has a ‘Bloopers of the Caribbean’ reel, a special set tour called ‘Enter the Maelstrom’ and fantastic short ‘Keith and the Captain’ in which Johnny Depp and Keith Richards pair up to give viewers their insights on life as a pirate. So if you’re looking for extravagant sets, impressive stunts and a date with some of film’s most fascinating characters, ‘Pirates of the Caribbean’ provides a rollicking journey to the ends of the Earth and back and could most definitely be a welcome addition to your Blu-ray collection. Click here for the full review. In the mean time, we’ve included the new ‘Pirates Of the Caribbean: On Stranger Tides’ trailer below for you to feast your eyes on.